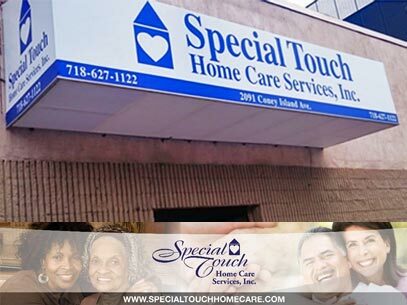 Special Touch has offered professional, high-quality in-home care throughout NYC for over four decades. We also proudly support the CDPAP program which allows non-professional caregivers (like friends, family, or neighbors) to receive payments through Medicare for the care they provide. We know being a caregiver is rewarding, but it can also be a stressful job If you're a caregiver in Brooklyn, we hope these resources will be helpful to you. Interested in learning more about the CDPAP program in Brooklyn? Our team is happy to help! CDPAP (the Consumer Directed Personal Assistance Program) pays a salary for in-home care provided to Medicaid patients by a family member, friend, or neighbor. Special Touch CDPAP is a division of Special Touch Home Care and is proud to serve as a fiscal intermediary, which means we facilitate payments to caregivers. Find out more about CDPAP and how we can help with the application process. You can also give us a call at 718-866-3482 or visit one of our NYC-area offices. Heights and Hills caregiver program in Brooklyn focuses on family members, friends, or neighbors who provide older adults with unpaid assistance including emotional support, shopping, cooking, and bathing to bill paying. The JASA Brooklyn Caregiver Respite Program is provided by the Jewish Association Serving the Aging and assists thousands of caregivers of older adults in Brooklyn each year. They provide free respite care, including home care and group respite, supplemental assistance and access to ongoing peer support groups, which are offered in person and by telephone. NYC Caregiver connects family caregivers in New York City with resources provided by the National Family Caregiver Support Program. You’ll find a wealth of information on the site as well as local resource centers in each of the five boroughs. Presbyterian Senior Services provides guidance for caregivers including ‘Circle of Care’ stations in all five boroughs and offers help in both English and Spanish. The NY Chapter of SAGE (Services and Advocacy for GLBT Elders) offers caregiver training, support groups and additional supplemental services as part of their meet the needs of elders in gay, lesbian, bisexual, and transgender (GLBT) communities. The organization’s The SAGE-GRIOT Innovative Senior Center is located in downtown Brooklyn. Disclaimer: This list is not intended to endorse any of the named organizations. It is meant as a helpful guide to specialized support services for Caregivers in Brooklyn. You may wish to do further research before choosing to engage with any of the above organizations. Want to recommend an addition to this list? Use the contact form below to tell us about it!